Each and every dish was completely different from the others, really making it hard to pick a favorite. I would happily eat any of the entries for dinner every night! 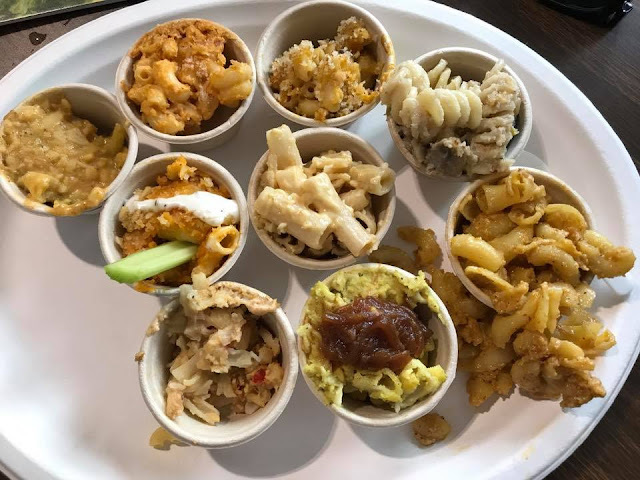 From truffled mac and cheese, to gluten free and organic pumpkin seed based cream topped with red onion fondue mac and cheese, to a thirteen-cheese rich and decadent mac and cheese, the voting was going to be close. Boil until very tender. Drain and return to the pot. Add remaining ingredients to the pot, and using an immersion blender, puree until silky smooth. Add additional milk a tablespoon at a time, as needed, to get to your desired consistency, which should be smooth and creamy, not gritty or clumpy. Add crackers, parmesan, and butter to a dry food processor and pulse into crumbs. Set aside, along with crushed potato chips. Add elbows and cauliflower to the pot of Buffalo Cheesy Sauce. Stir to combine. Spread mixture into a casserole dish. 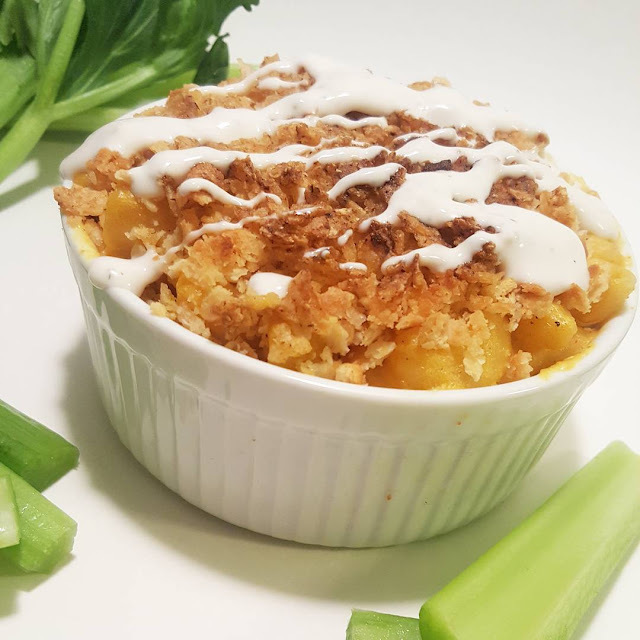 Sprinkle Crunchy Topping in an even layer all over the top of the mac and cheese and top with crushed potato chips. Drizzle with blue cheese dressing, and serve with celery sticks, if desired. 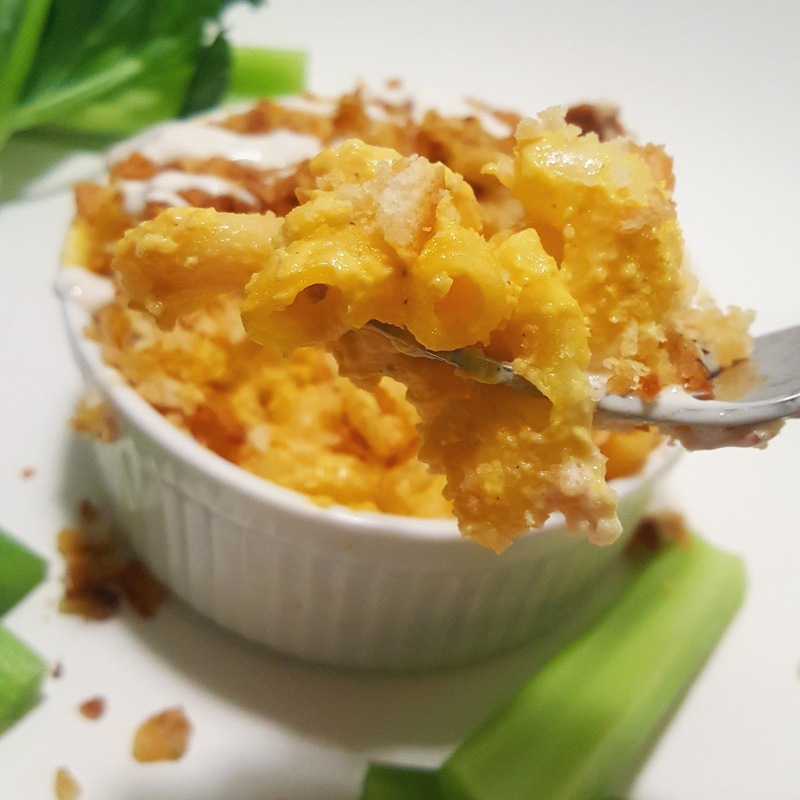 *If you make this ahead of time so you can reheat later, do not add the Crunchy Topping until you are ready to bake. If cooking from cold, cover with foil and bake for 30 to 45 minutes at 375°F to heat through, then uncover, crank up the heat to 425°F, and bake an additional 15 to 20 minutes to brown the topping. Congratulations! This looks amazing! Alas, I have no immersion blender. Any other ideas for getting the potatoes sufficiently creamy? I tried a food processor once, and ended up with glue. I'm afraid a blender would lead to similar results. Congrats! Thanks for posting your amazing recipe. Awwe. Thanks mama! Miss you already! Can't wait to come and visit! Omg congrats Joni! 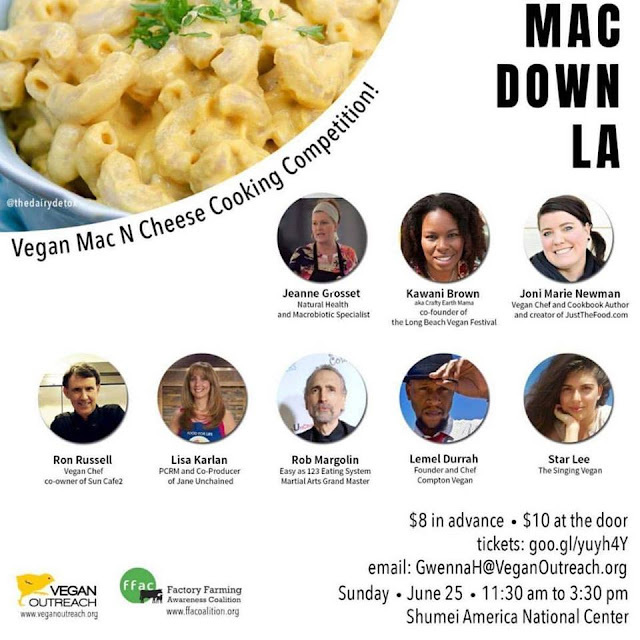 I think "Mac & Cheese Champion" is pretty much the highest honor one can have (at least in my book!). Your pic looks stunning, and the recipe sounds amazing. Thanks for sharing! Also, someone made 13 cheese?!! I would love to know what 13 vegan cheeses there even are! Hahaha. Amazing. BTW, your article in this issue of VegNews is bangin'!